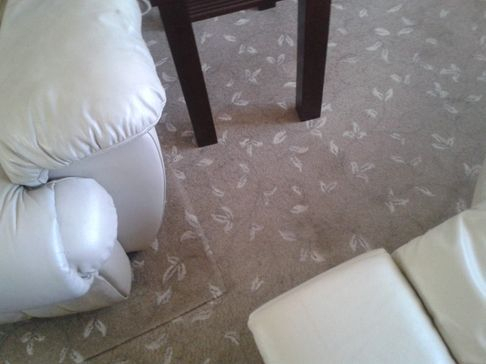 Carpet & Upholstery Cleaners in Liverpool - Services throughout the Northwest! Sofas and chairs are not only vulnerable to surface stains, dust, and dirt, but grime can become deeply embedded into the fibres, too. Even if you can’t see the dirt, it’s there, so for cleanliness and hygiene’s sake, cleaning upholstery on a regular basis is very important. With over 30 years experience, Homecare Cleaners guarantee the best possible results when it comes to cleaning your upholstery. 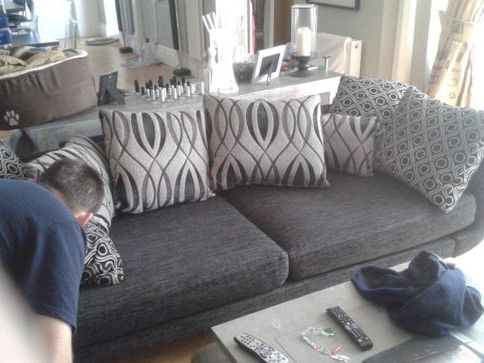 To ensure this, we provide a complete, thorough and comprehensive clean, using our unique carbonating process, that provides clean upholstery upon contact, and dries within an incredible four to six hours, instead of the standard one to two days! All thanks to our fantastic three stage vacuum motors! When it comes to upholstery stain removal, your best chance for removing the stain is to do it as quickly as possible after the spot is made. The longer a spot sits on your upholstery, the harder it becomes to remove. While many stains can be removed when they occur, some require the technical skill and advanced cleaning solutions of expert stain removers. ● Clean up surface stains as soon as possible after they appear. Fresh stains are always easier to lift off – keeping a clean sofa will always reduce the time spent carrying out intensive, deep cleaning treatments. ● Vacuum your sofas and chairs at least once a week to keep dust and dirt to a minimum and prevent it from becoming ground in with constant use. ● If any parts of the sofa or chair are removable, make sure to wash them regularly. 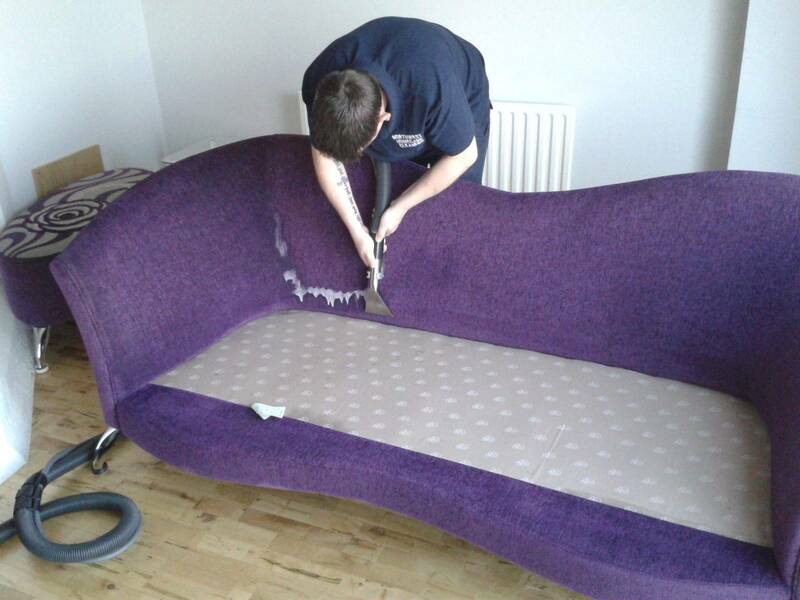 A handy hint is to replace covers while they are still slightly damp, so they can dry around the shape of the sofa. Leather upholstery is beautiful and sophisticated. It's also surprisingly resilient to ageing when cared for properly. Regularly treated furniture can last a lifetime! Basically, the process of maintaining high quality in your leather can be compared to that of looking after your own skin: Those who clean and moisturise regularly, tend to have better skin than those who don't, especially in the long run. This is because dehydrated skin deteriorates/ages quicker. To keep your leather looking it's best, we suggest treatment once every three months, but stress that once every six months should be a bare minimum. This will prevent those pesky spider cracks, and hold scuffing at bay. We will start our professional leather cleaning service by carrying out a full survey on the leather using one of our experienced technicians. Homecare Cleaners use the finest leather upholstery cleaning techniques, paired with the highest quality solutions, to remove stains and soil, and then replenish vital oils. We always clean the hide by hand, to ensure maximum results. After our professional leather cleaning service has restored the leather, we will apply a conditioning cream to help protect it from future damage. Finally, we polish off with an industry standard buffing machine. Whether you have a Sofa in Southport, or a Lazyboy in Liverpool, we've got you covered! 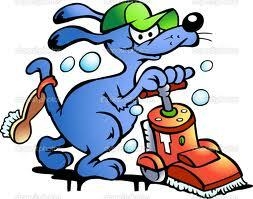 © 2014 Homecare Cleaners ltd. All Rights Reserved.